After what felt like a never-ending winter, it seems like spring is finally here. If you’re like us, the warmer weather and longer days has you ready to spruce up your outdoor spaces for white wine sipping and hamburger grilling with family and friends. Check out our 12 recommendations for must-have pieces to create an inviting outdoor space. Ranging from furniture to smaller accessories, these items will make your deck, patio, porch, or other outdoor area ready for entertaining in style. 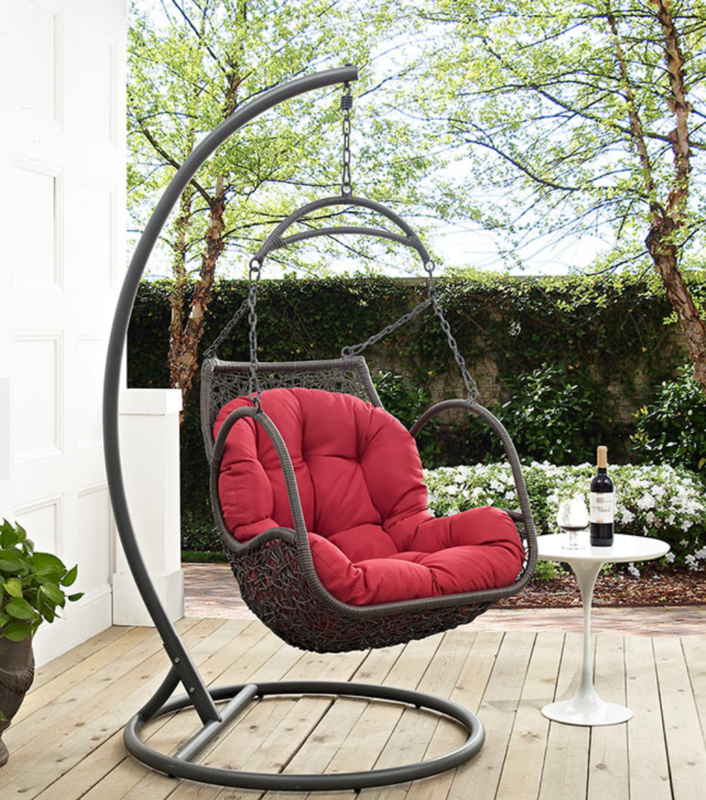 What’s a relaxing outdoor space without a place for lounging? We love this standalone swing chair. Its synthetic rattan seat gives a fun root-like pattern and the cushion provides a pop of color. We love the modern steel black legs perfectly complemented by the natural concrete top. This large outdoor dining table will provide plenty of serving and dining space for your spring and summer gatherings. Love the concrete furniture look? Check out the entire collection here. 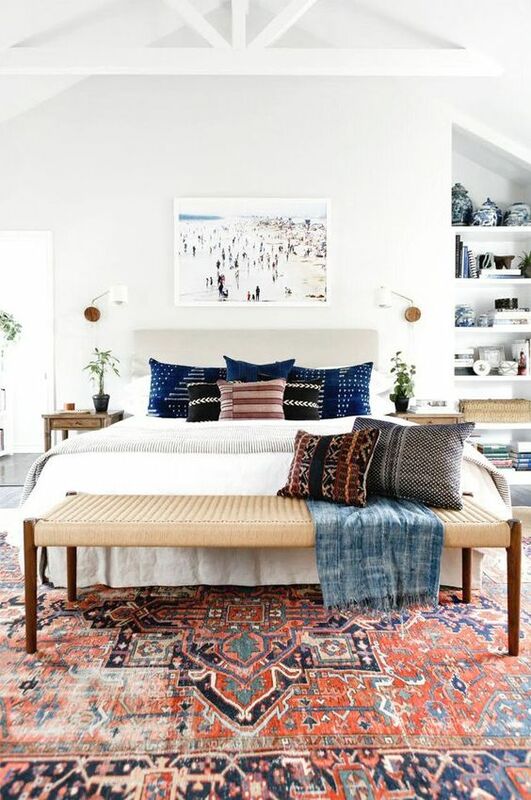 Just like an indoor rug makes a space feel more warm and homey, an outdoor rug can accomplish a similar feel. Depending on the outdoor rug you choose, it can add texture and interest into the area. 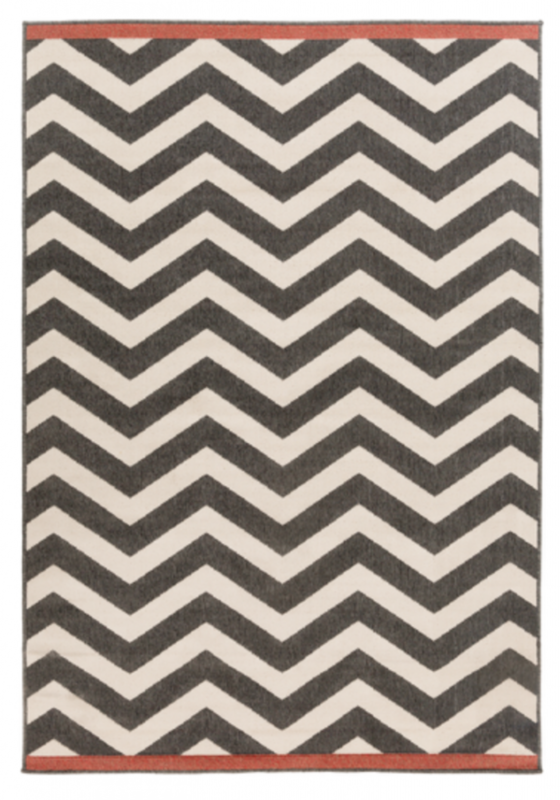 That’s why we love this outdoor rug with its bold geometric pattern and pop of color. This fun and practical rolling cooler is perfect for storing and serving drinks at your outdoor gathering. 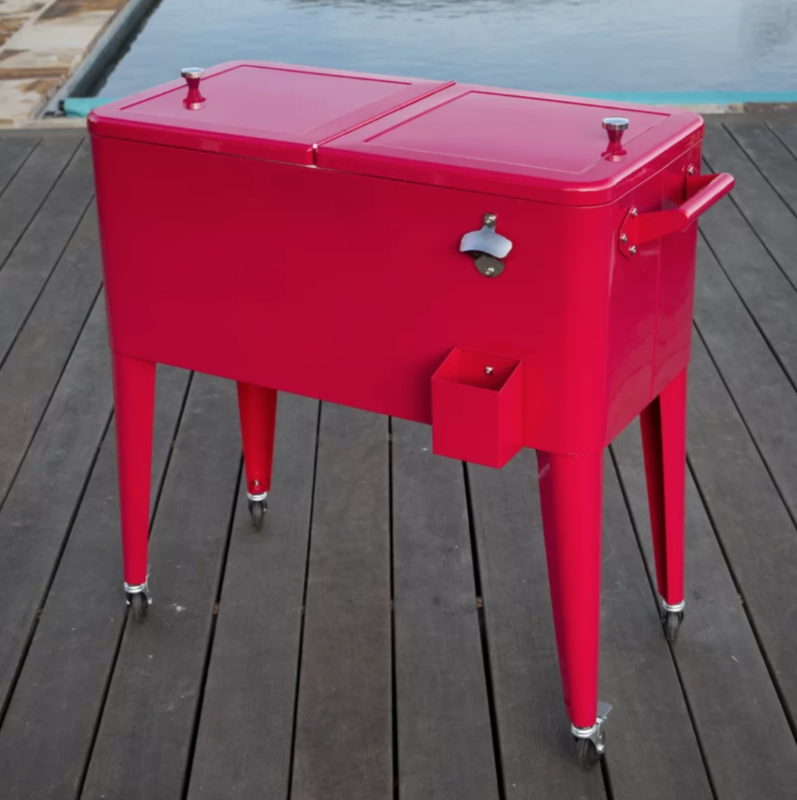 We love its height so that guests don’t have to bend way down like they would with a traditional cooler. And the bold red color is a perfect accent to neutral colored patio furniture. If you don’t love the look of your current deck material or your concrete patio, you may want to consider covering it with these easy-to-install interlocking wood deck tiles. 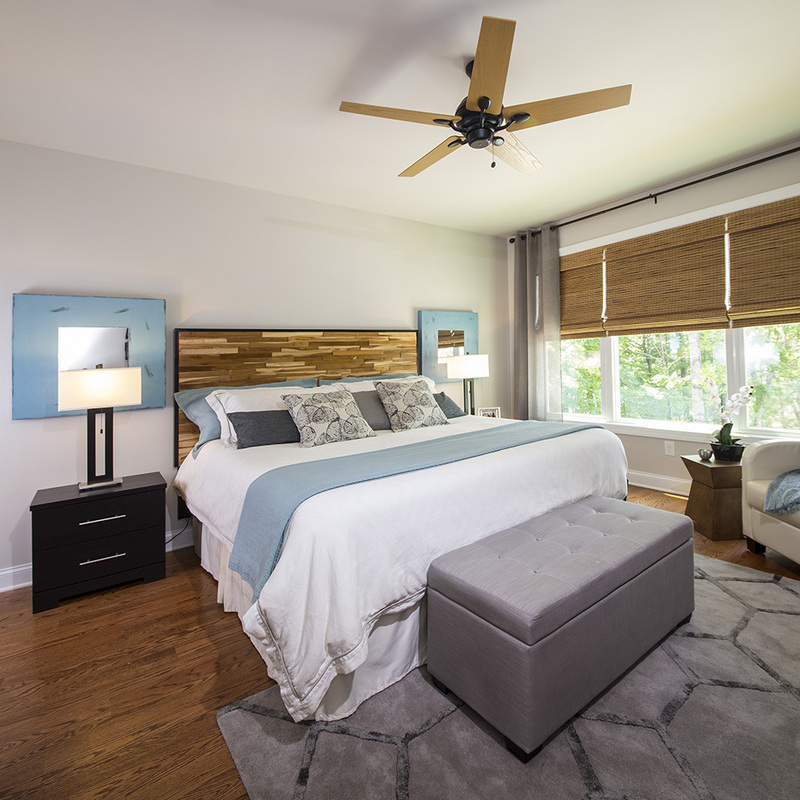 Their honey oak color will provide a nice warmth, and the pattern of the wood from one tile to the next adds visual interest. We love this multi-functional deck box. 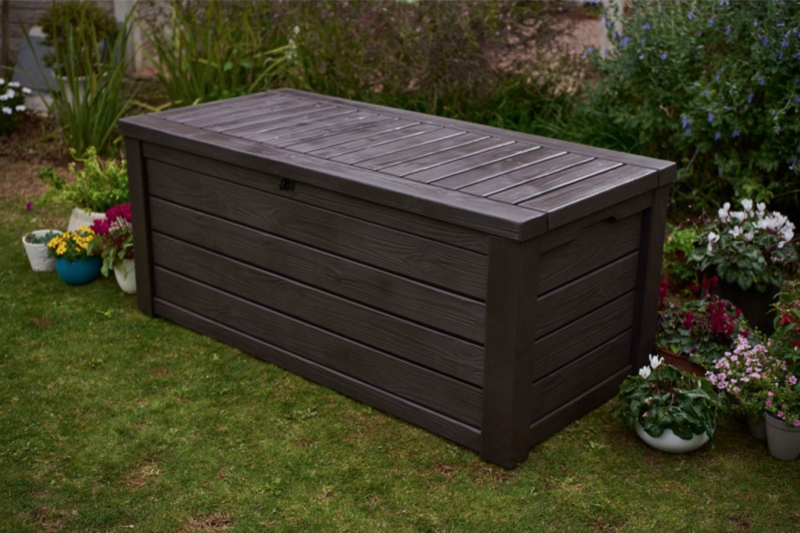 Perfect for storing cushions, tools, or other outdoor accessories, its flat top also allows it to double as a bench for more seating or even a table top for serving food or drinks. It has a natural wood look but is actually a weather-resistant resin, making it a durable and practical piece. 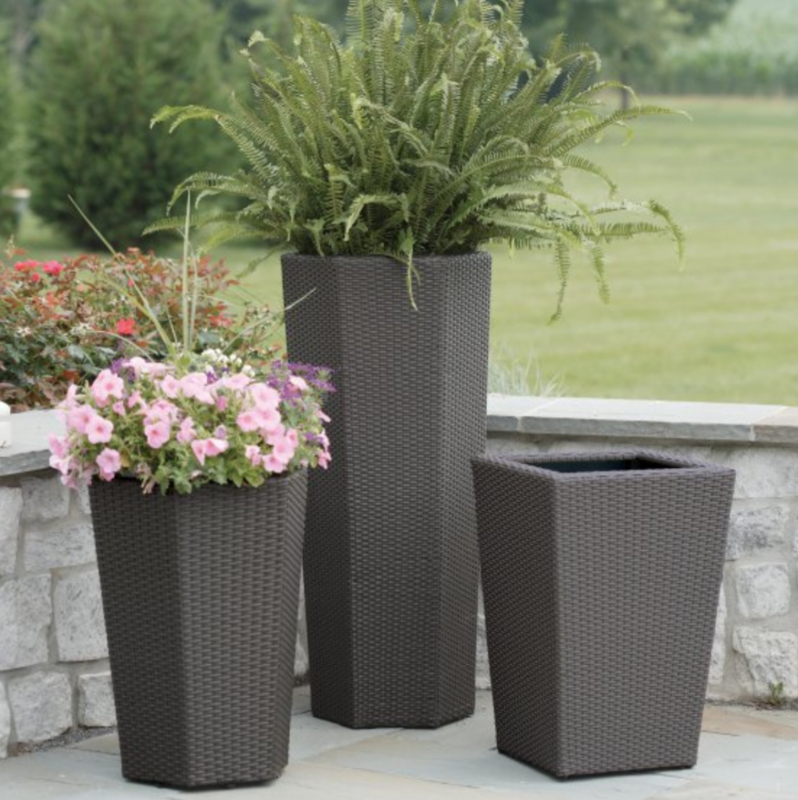 Plants are a must-have for an outdoor space, and we love the hexagonal-shape and height of these planters. Their dark gray color allows the greenery and florals you plant in them to be the focal point, while their resin wicker material provides some texture as an accent. 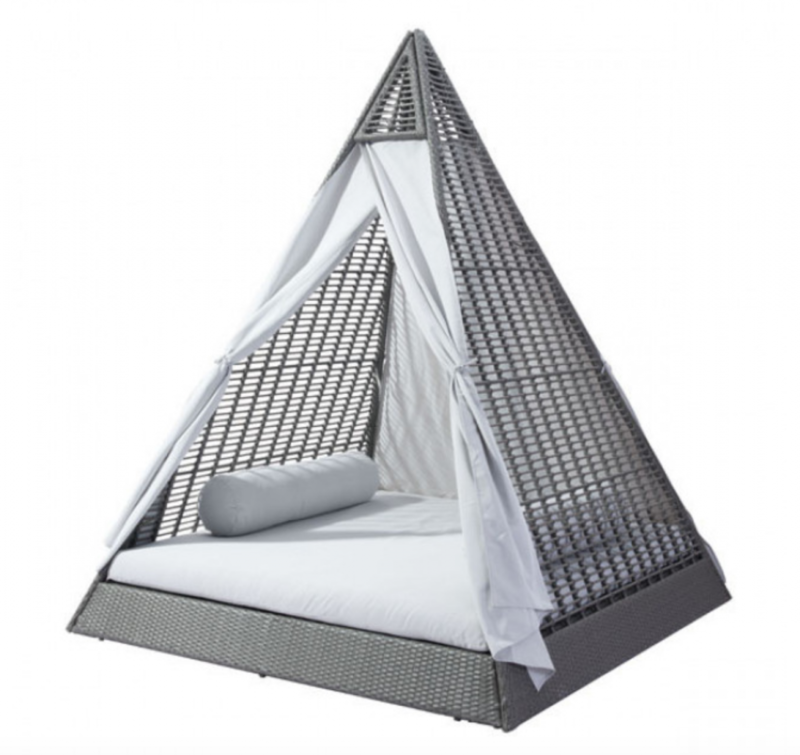 Another great option for lounging, this daybed will draw the eyes in with its unique pyramid shape, while its neutral gray color keeps it from overpowering other nearby furniture. 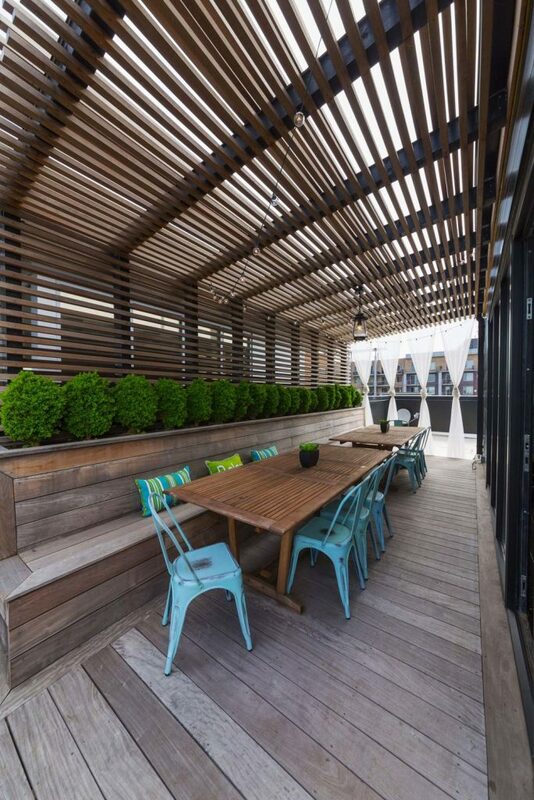 Every outdoor space needs some shade. 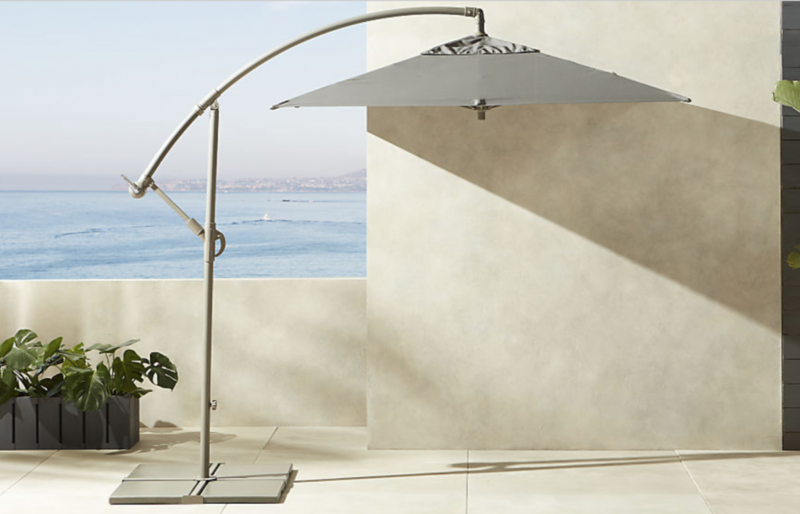 This umbrella provides that in a modern way with its cantilevered design and square shape. It can also be raised, lowered, and tilted as needed. 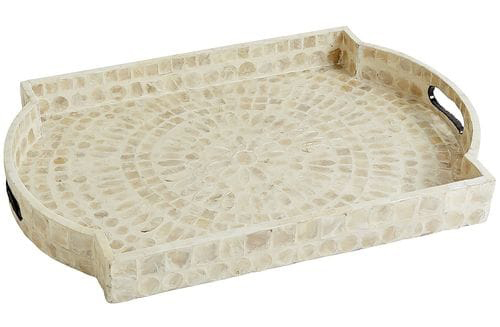 We love this unique tray, which is made from hardwood and overlaid with a pearl-colored capiz shell. It’s perfect for serving drinks, or for displaying plants or other small accent pieces on an outdoor table. 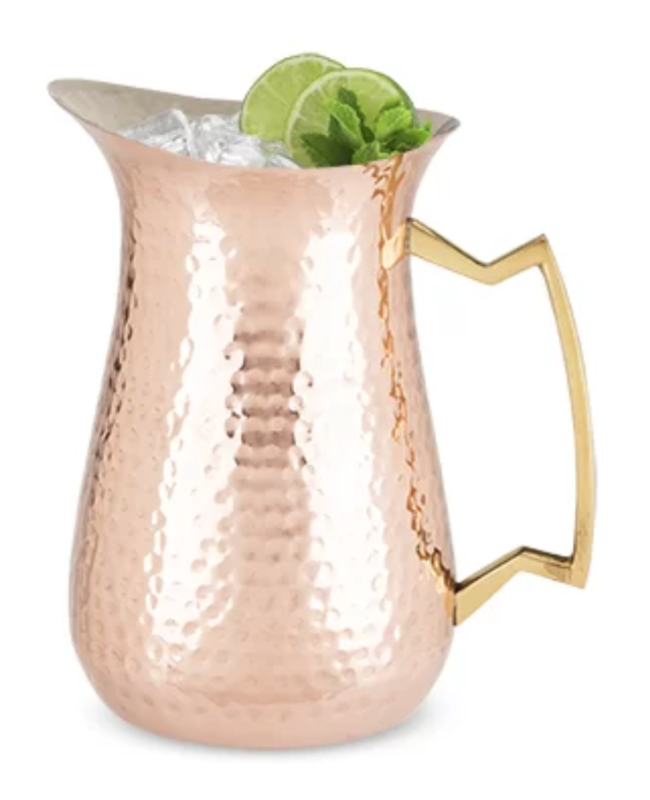 The bright color and modern brass handle of this pitcher make it the perfect spring accent for serving outdoor drinks. 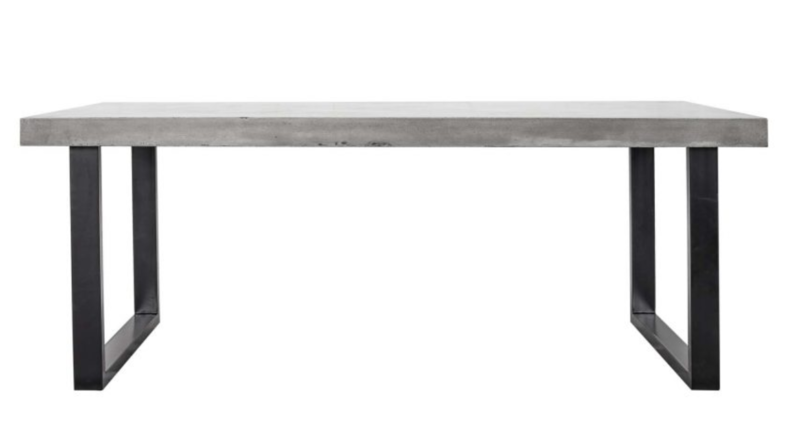 We love the hammered finish that also gives it some texture. Outdoor throw pillows are an easy way to add a more homey feel to your outdoor seating. 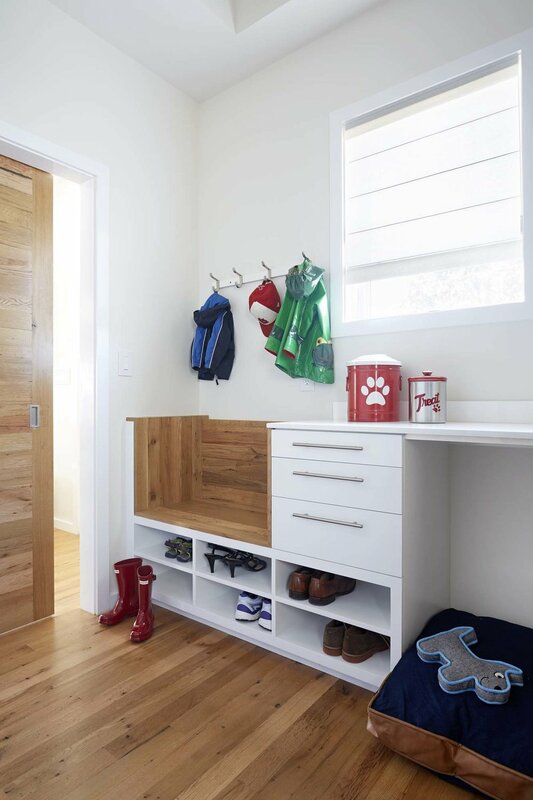 We recommend choosing several in varying shapes and sizes, depending on how much furniture you have in your space. 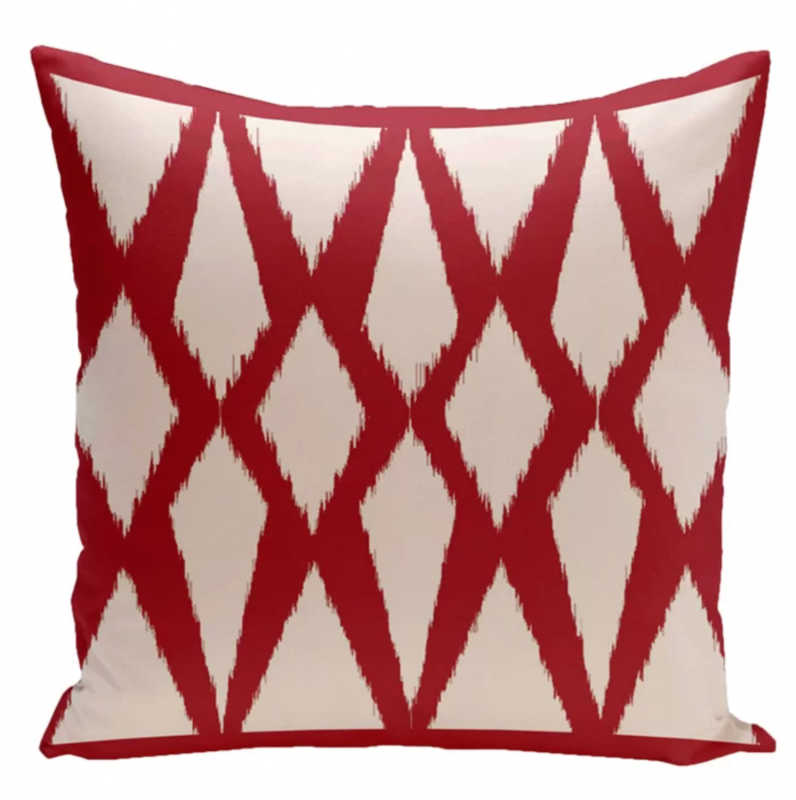 Consider at least one that provides a pop of color and pattern, like this one with its red geometric pattern. We hope these pieces have given you some inspiration for getting your outdoor space ready for entertaining and relaxing this spring. An outdoor area is the perfect chance to get outside your comfort zone and try styles and colors you may not normally select for your interior. So we encourage you to be bold and have a little fun as you prepare your patio or deck for the warm weather seasons!